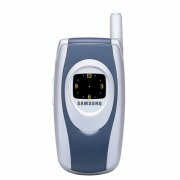 Dual colour display, 65K internal colour screen, Polyphonic ringtones, Triband. ·Platform : - Tri Band (900/1800/1900 Mhz) - GPRS Class 8 - Browser: WAP 1.2.1. Coolnewmobile - Offering the latest Contract Phones including the Samsung E400 at the most competative prices around. We offer fantastic mobile internet phones all with FREE text messaging*, If you want an O2 mobile phone why not buy it now from O2. They also have some good deals on the Samsung E400.